Take rice flour in a flat plate. 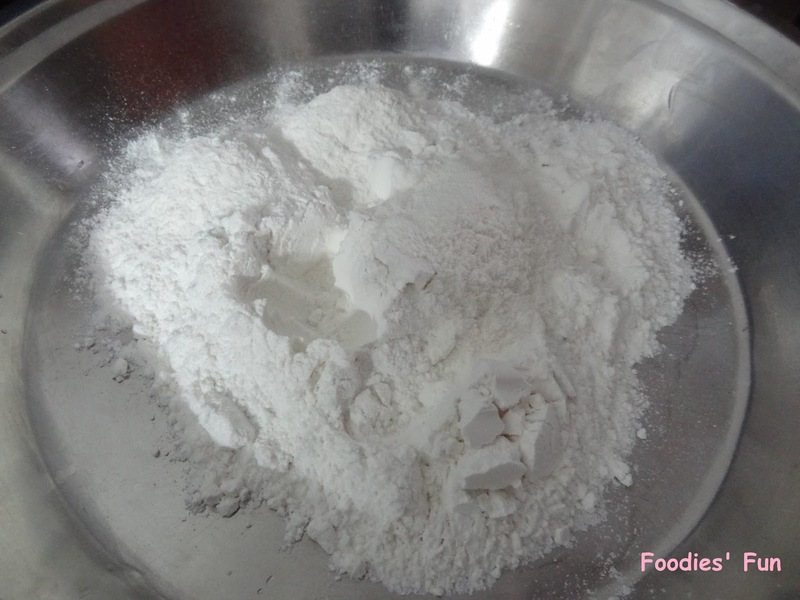 Keep on adding water to the flour little by little to knead the dough till it becomes soft, pliable and does not stick to your palms. Divide into equal parts and make rounds of it. As you pat, the rotla should rotate circularly. 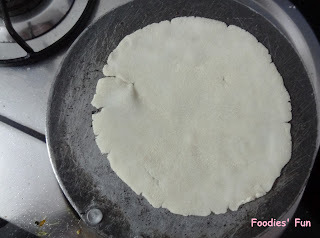 This will increase the size and minimize the thickness of rotla. While you pat the rotla, heat the griddle. 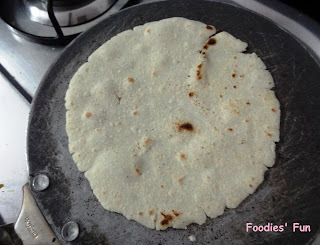 Put this rotla on the griddle and cook both the sides till brown spots appear and make sure do not overcook it (completely brown) orelse it no longer will look a rice flatbread. 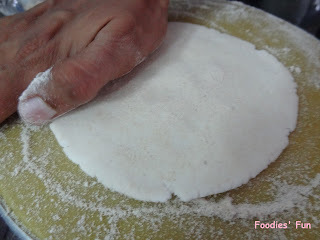 To puff the rotla, dab the second side on the flatbread with a cloth. It will taste amazing when you serve the rotlas hot. You can have chokha rotla with any of the kathiyawadi vegetable like Stuffed brinjal, Lasaniya Aloo and like. 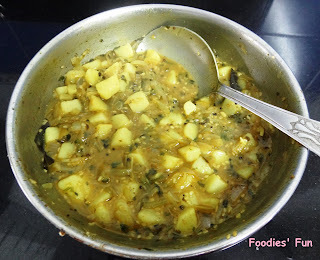 We at home had it with yummy Onion-Potato Sabzi. Dice potato and boil them. Let it cool. Vertically slice the onions half. 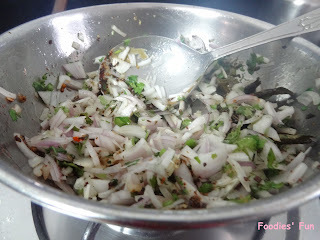 Take a kadai and put oil in it. Heat it on flame. 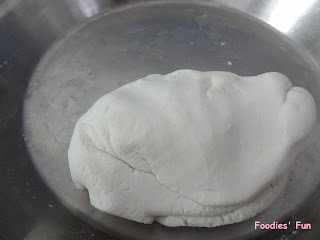 As it heats up, put curry leaves, sesame seeds and garlic-ginger-chilli paste. Saute for about a minute. Put onions to it. Add salt, turmeric powder, garam masala & coriander-cumin seeds. Mix them all well. Let it cook for about 5 minutes. Finally add potato along with water. Stir generously and let it cook for another 3-4 minutes. 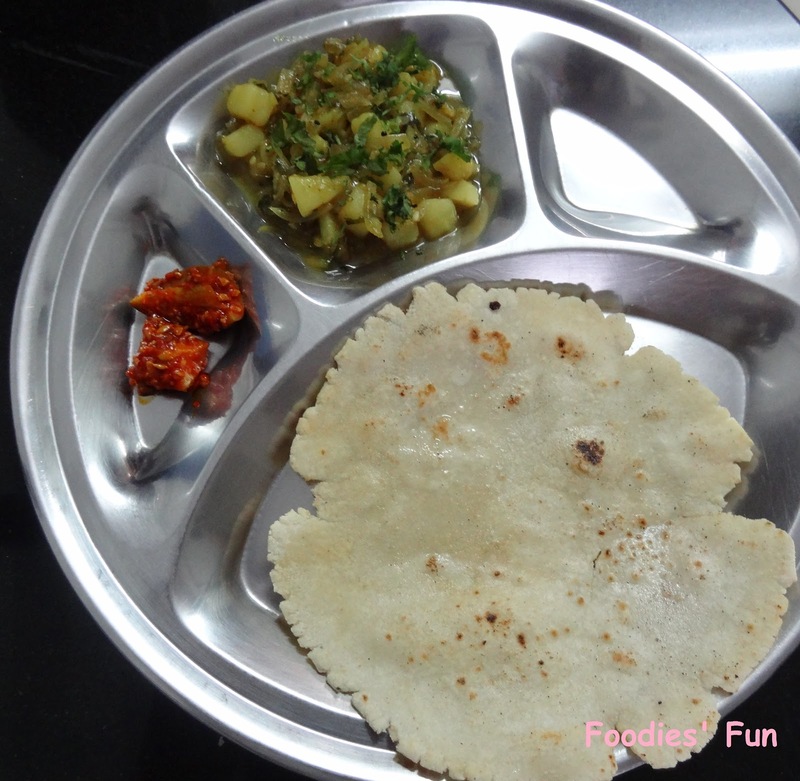 And the yummy spicy vegetable is ready to be served with hot ricebread (chokha no rotlo).